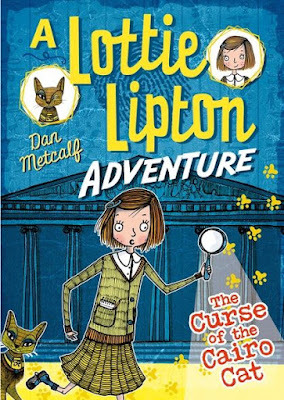 Lottie loves living in the museum with Great Uncle Bert but, when the Golden Cat of Cairo disappears at the launch of a new exhibition, Lottie's home is under threat. Can Lottie, Great Uncle Bert and Reg the caretaker follow the clues and find the cat in time, or will Lottie lose her home forever? Can the group solve the clue and find the Trident before the canny thief, Bloomsbury Bill, beats them to it? Lottie is a very smart museum bred girl – I mean that literally. She doesn't go to school like other children, instead gets taught a great amount of information in a place she knows like the back of her hand (which she tries to prove by walking about with her eyes closed, but with a near miss of an accident with an ancient artifact she has to stop that experiment). 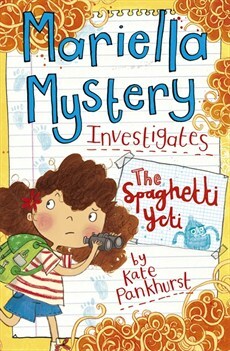 The knowledge she picks up plays a huge role in solving the mysteries in both books, with a tiny bit of help from her Uncle who is definitely eccentric in a lovable way. I loved the pompous museum owner who always tried to get in Lottie's way, threatening her uncle with eviction which was cruel but added tension to each tale. I like how readers are introduced to snippets of history which will hopefully spark their interest to investigating more about certain eras on their own. 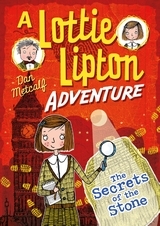 There were several moments where I wanted to close my eyes because I was scared about what would happen next, but both Lottie and her uncle manage to survive both adventures. Find out more on Dan's website. and Rachelle's website.